Yamaha. the popular Japanese auto manufacturer has revealed that it would be showcasing two of it’s new street fighter motorcycles to the Indian market i.e. 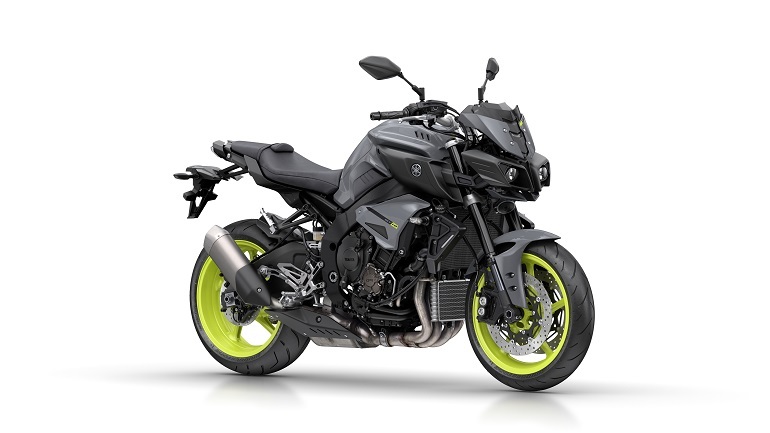 the new Yamaha MT-10 and Yamaha MT-03. The MT-10 from Yamaha is the street naked version of the company’s flagship motorcycle YZF-R1. The MT-10 was recently showcased at the EICMA in 2015 and it pretty much looks inspired from the Transformers. Although we know it exists, none of the mechanicals have been revealed by Yamaha yet. This motorcycle would be using the same Deltabox chassis and would also be equipped with features such as slipper clutch, cruise control, 3-wheel riding modes etc. The all new Yamaha MT-03 is based on Yamaha YZF-R3 which was launched in India last year(2015). The bike is going to be powered by the same 321cc, parallel-twin engine, but it will be tweaked for a better city performance. Also, gear ratios could be reworked. Yamaha can be considered as a pioneer in their performance segment. While more & more manufacturers are now selling superbikes in large quantity, the Japanese manufacturer has been a bit slow in introducing such products in India.